The Hand Of A Tourist Making A Hike In The Mountains Against The Background Of A Beautiful Landscape With A Waterfall. Royalty-Vrije Foto, Plaatjes, Beelden En Stock Fotografie. Image 116161661. 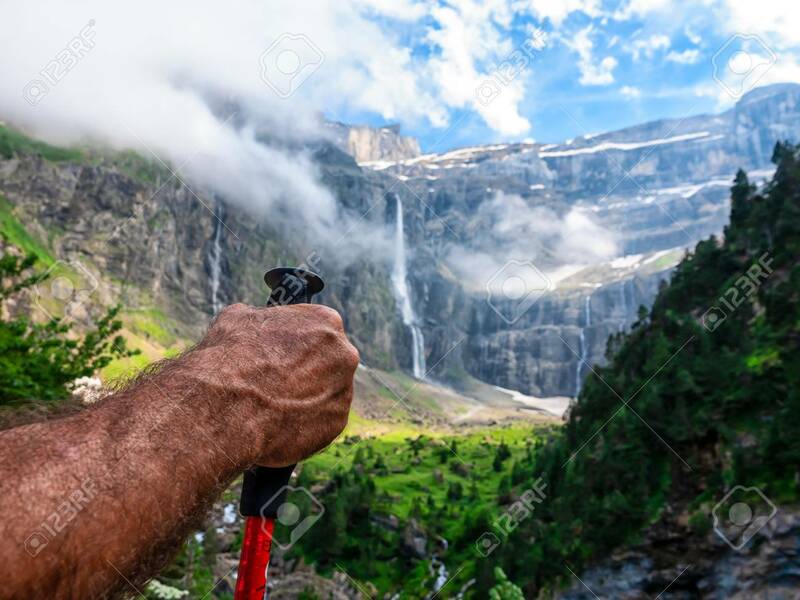 Stockfoto - The hand of a tourist making a hike in the mountains against the background of a beautiful landscape with a waterfall. The hand of a tourist making a hike in the mountains against the background of a beautiful landscape with a waterfall.